Hello there once again rebels. 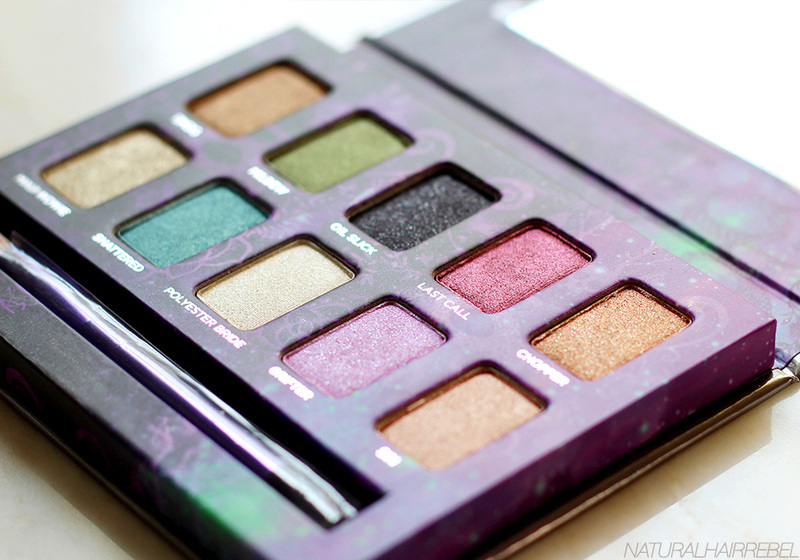 Here's a look at my first Urban Decay palette called "Ammo." I have only played in it twice, but I love this palette. 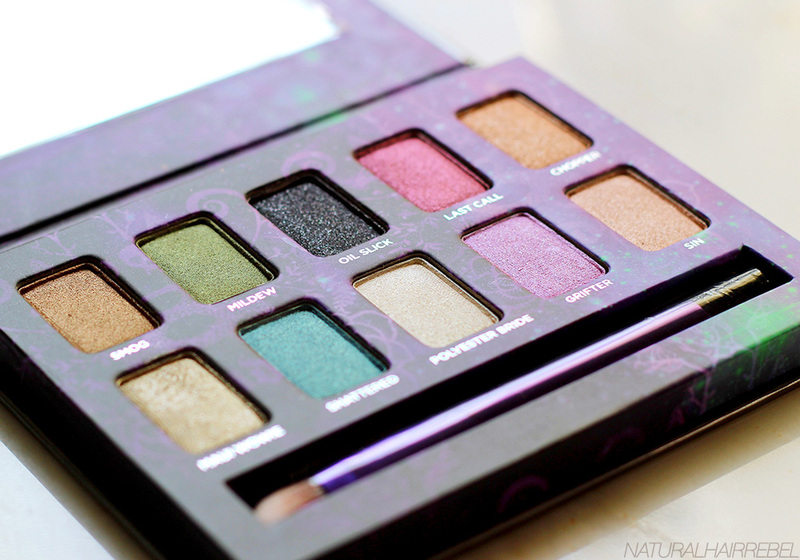 It is a travel-size 10 color palette, but it comes with a punch. 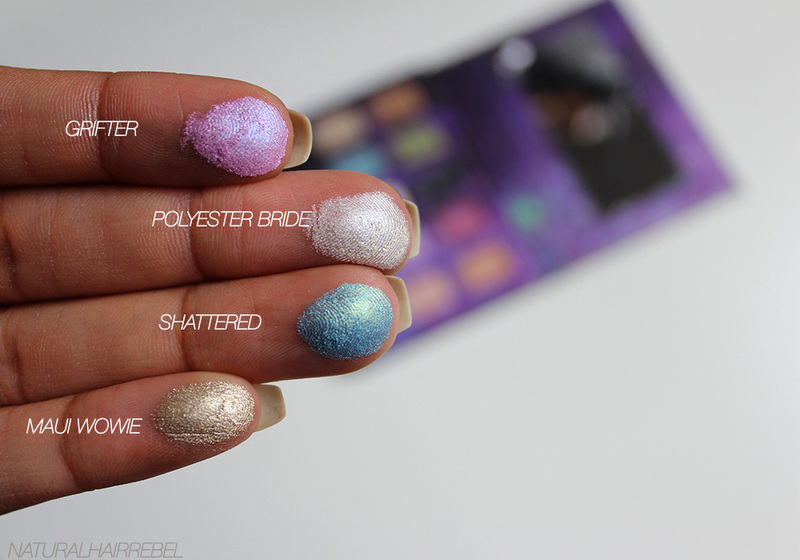 The colors are highly pigmented and transfers well. 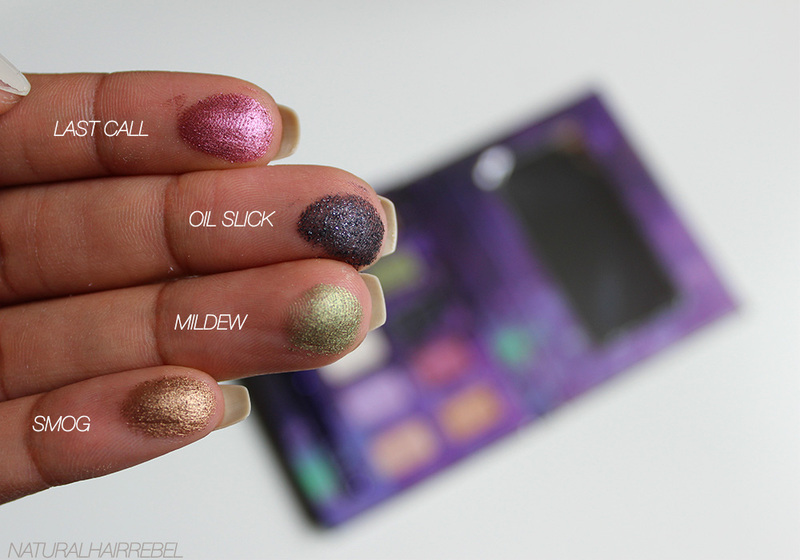 The one thing I dislike is that they are all shimmer and metallic colors. I would've loved to have at least two-three matte colors, but as I always say beggars can't be choosers. I bought this palette last month from Ulta when they were selling it for $16, as it also came with a travel size eyeshadow brush and eyeshadow primer potion. Can you believe that…$16! 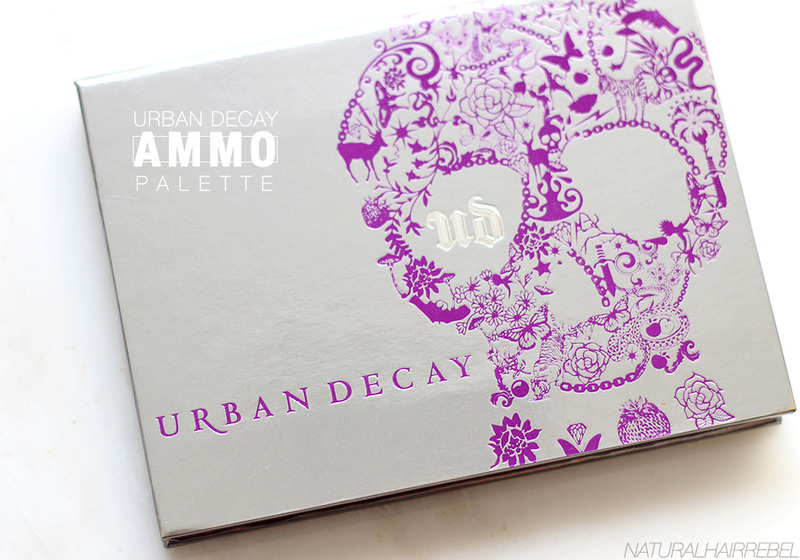 Update: Ulta no longer sells it, but you can still pick it up on UrbanDecay's website. 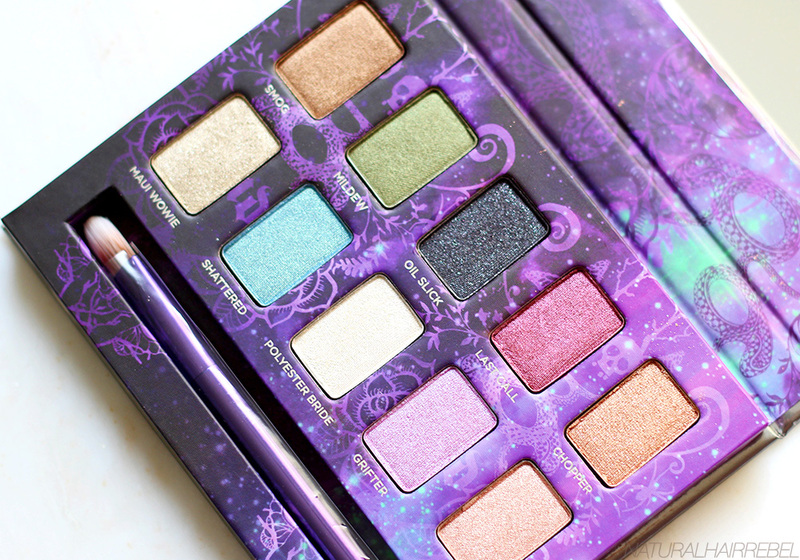 This palette is said to be a relaunch of one of their most iconic palettes ever, with 10 of their best selling shadow shades, and has a new formula which makes these shades long lasting. Its a revamped version of their Eyeshadow Ammo Shadow Box. Were you able to get your hands on the Ammo palette, what are your thoughts? Until next time, tot ziens. Hi, I'm Asha Elle. Welcome to Natural Hair Rebel. I want this little space on the nets to be a place where we can create open dialogue and discuss things that are important to our community, and where I can share my thoughts on whats new in beauty and hair. Oh and you'll be seeing a bit of the fam as well. 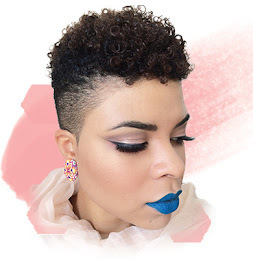 Posts and photos on this site belong to naturalhairrebel.com and The Rebel Boutique unless otherwise stated. Please do not take and/or use my images on your blogs or websites without properly linking to and crediting the naturalhairrebel.com. Removal of any embedded links or copyright notices on my photos is strictly forbidden and will be reported if found. If I find that my images have been misused, I will file a copyright complaint with your web host. Please do not claim any of my posts or pictures as your own, as that is known as infringement/stealing. Be creative, write your own posts. Are you doing a feature? Great, I just ask that you use a max of 2 photos, and link back to my original post. If you would like to use more photos, please contact me.